Red panda, originally uploaded by scjody. I had no idea until recently that the red panda is also known as a firefox! 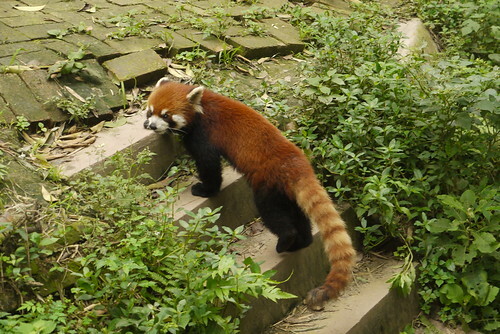 The firefox isn’t a mythical creature after all, but a real species living in China. I visited firefoxes almost exactly a year ago in Chengdu, Szechuan, China and I had no idea!